EVERY SINGLE CLIENT IS MY VIP. This is my new special offer on PPH. Thus, I have big promotion to all clients. Buy my service today you will get 10 different intros choose from 300 options. Yes, 10 intros not 1. This is huge, right? Yes, you can get it. See detail below. Try me once, you will come back for more. I always here and ready to support you. I really love to work with Roland M. Thanks so much for your support. Outstanding Experience! Thanks so much for your great review on my services. Fast and great result. Highly recommend to use his service. I will back for more. My honor to work for you. I can't waiting to work for you more. Thanks for support and rate me! Great Work! will back for more and more! Outstanding Experience! Thanks for feedback! You are a very well organized client. Thanks so much for great feedback! He is best as always, will back for more soon! Welcome to my PPH Profile! 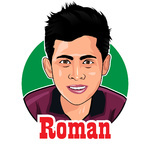 My name is Rathana and I am a professional graphics designer, animation and video editing from Cambodia. Not sure about how to create the idea that...Read moreWelcome to my PPH Profile! My name is Rathana and I am a professional graphics designer, animation and video editing from Cambodia. Not sure about how to create the idea that you have on your mind? Don’t worry! I am here to help you! I can produce and edit your video, animation or any graphics design projects. Over 7 years in graphic design and now video editing, digital marketing, this is my passion, career and future path leading to the design firm in my area. Hope to hear from you soon! I's always here waiting to support you! I'm very skilled in handling most of the industry standard Graphic/video/audio editing software. My skills aren't only limited to video editing, I have a considerable knowledge in Web technologies, Social Media marketing, Graphic Designing and SEO. I always keep myself up to date with the latest technologies and I try my very best to implement new technologies into my workflow to increase the quality of the final product. If you think I'm a good fit for your project please don't hesitate to hire me. Try me once, you will come back for more!